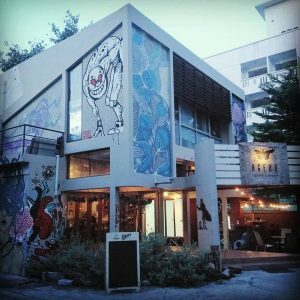 Sukhumvit Soi 77 (On Nut) is fast gaining a reputation for the variety of hipster cafes and good eats. It is now wildly popular amongst the working class Thais and expats alike. While you are there, here’s 5 unique places that you ought to check out. 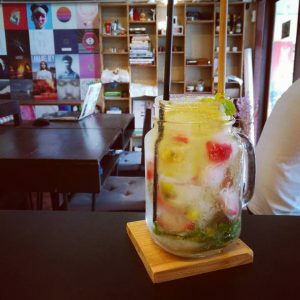 An indie music lovers’ dream cafe. The interior is kept minimal with music posters and a shelf that sells tote bags, film cases and leather wallets. 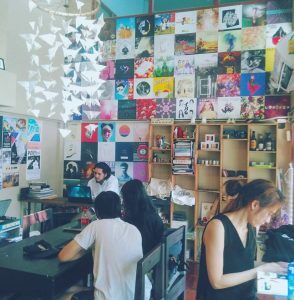 This miniature cafe sells a small collection of CDs from independent labels and aspiring bands while in the background plays music from the owner’s collection of vinyl. 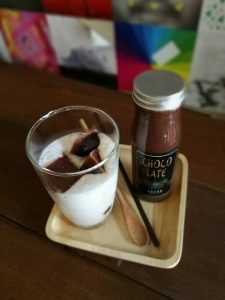 Coffe lovers can try their signature Brown Stone (100 Baht), or a cup of refreshing Fruit Infused Ice. This is one of the hottest places in On Nut now. 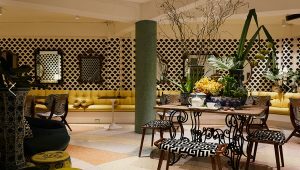 The interior is designed by renowned Thai designer Noppadol Phaholyothin. Absolutely Instagram worthy. Going there just to sip one of the 30+varities of imported gourmet teas and soaking in the ambiance alone is well worth the trip. 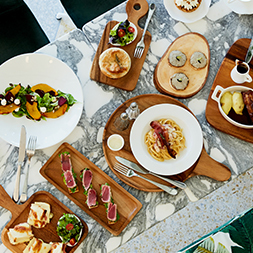 The food is mouthwatering and the portion is generous. 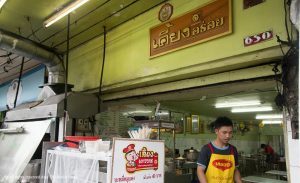 The range is diverse, a great mix of western and Thai food. The place is also perfect for private parties. 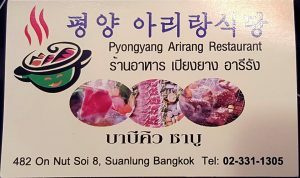 South Korean restaurants are aplenty but it is rare to find an authentic restaurant serving North Korean food. The staffs working in there are from North Korea. The food is tasty and you can opt for buffet BBQ @ 299 Bhat per pax. Please do note that photographs are not allowed in the restaurant. 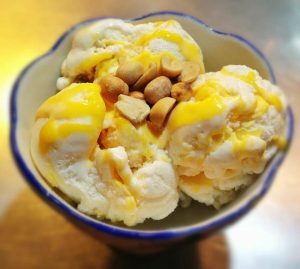 Finally, this popular dessert stall has a branch in On Nut. 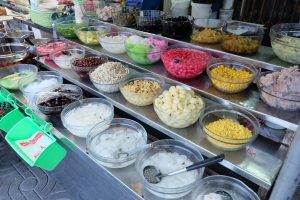 Thai dessert galore. This shop sells a variety of Thai desserts, fried ice cream, egg yolk with coconut milk custard, etc. It is usually very crowded in the evenings. This famous eatery has been around since 1947. 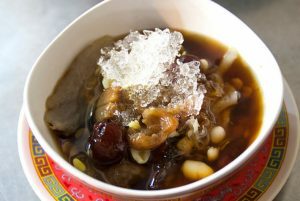 The menu is a fusion of Chinese and Thai cuisine. And apparently, the owner gets invited to the palace yearly to cook for the royalty! Their signature dish is the deep-fried pork neck with garlic.